TLJ Daily E-Mail Alert No. 2,065, March 26, 2010. March 26, 2010, Alert No. 2,065. 3/25. Gary Locke, the Secretary of Commerce, gave a speech in Washington DC in which he discussed counterfeiting and piracy abroad, patent reform, commercializing research, and other topics. Counterfeiting and Piracy Abroad. Locke that there is an "effort" to "crack down on counterfeiting and piracy of U.S. goods abroad". He said that the level of counterfeiting and piracy abroad with respect to the intellectual property (IP) of U.S. companies is "flatly unacceptable". Locke (at right) also said that "It is a fundamental priority of the Obama administration and the Department of Commerce to improve our protection of intellectual property worldwide." He said nothing about the Congress's failure to approve the concluded free trade agreements with Korea, Columbia and Panama in the prepared text of his speech. Nor did he discuss the Obama administration's failure to begin any new bilateral free trade negotiations, the stalled Doha round negotiations, the proposed Anti-Counterfeiting Trade Agreement (ACTA), or the proposed Trans-Pacific Partnership Trade Agreement (TPP). He also referenced a recent White House news office release and executive order which the Obama administration have labeled "National Export Initiative" or NEI. See, story titled "President Obama Addresses Export Policy" in TLJ Daily E-Mail Alert No. 2,059, March 19, 2010. He did make a passing reference to IP related talks at a "U.S.-China JCCT meeting". He also said that he has expressed the views of the U.S. positions on these issues in his trip abroad. Finally, he observed that as companies in other countries "move up the economic value chain, they too will depend on the protection of their intellectual property". Patent Reform. Locke said that "Another key area is our effort to reform the U.S. patent office at home". He also addressed reforming patent law. He referenced the U.S. Patent and Trademark Office's (USPTO) backlog of almost 800,000 applications, the "over three years it currently takes to grant or deny a patent application", and the resulting "uncertainty in the marketplace" and "new products not going to market and the more new jobs not being created". He said the patent pendancy is "flat-out unacceptable", and that he wants it to come down to 12 months "for those applicants who desire it". "Without clear and ironclad ownership of a patent, it makes it: harder for businesses and entrepreneurs to attract investors; and more likely that patent-holders will be on the receiving end of drawn-out and possibly frivolous litigation", said Locke. He asserted that "We are on a mission to fix these problems at the patent office", and that David Kappos, the head of the USPTO, is "very capable" and "focused". But, just what are Locke and Kappos going to do? The only thing that he identified in this speech is that "we are going to continue to work with Congress in the months ahead as they try to pass comprehensive patent reform legislation". He did not express any opinions about any of the provisions of proposed patent reform legislation. See, the latest draft [105 pages in PDF] of S 515 [LOC | WW], the "Patent Reform Act of 2009", and story titled "Senators Release Latest Draft of Patent Reform Bill" in TLJ Daily E-Mail Alert No. 2,056, March 5, 2010. See also, HR 1260 [LOC | WW] the "Patent Reform Act of 2009", and story titled "House Members Comment on Senate Patent Reform Legislation" in TLJ Daily E-Mail Alert No. 2,052, March 1, 2010. Commercializing University Research. Locke said that the DOC is "looking at ways to accelerate the movement of ideas from federally funded labs into the hands of entrepreneurs. Many university-based research centers do a terrific job commercializing technologies. The challenge before us is to make that high-level of performance the standard among all colleges and universities in America." The Executive Office of the President (EOP) published a notice in the Federal Register on March 25, 2010, that announces the EOP's Office of Science and Technology Policy (OSTP) Request for Information regarding commercialization of university research, and sets the deadline for submitting responses -- April 26, 2010. See, Federal Register, March 25, 2010, Vol. 75, No. 57, at Pages 14476-14478. He also discussed "high-tech clusters", broadband subsidies, and health information technology standards. 3/15. Rep. Anna Eshoo (D-CA), Rep. John Shimkus (R-IL), and Rep. Steve Kagen (D-WI) introduced HR 4829 [LOC | WW], the "Next Generation 9-1-1 Preservation Act of 2010", on March 11, 2010. On March 15, 2010, Sen. Amy Klobuchar (D-MN) and Sen. Richard Burr (R-NC) introduced S 3115 [LOC | WW], the companion bill in the Senate. These bills states that its purpose is a "migration from a voice-centric 9-1-1 system to an IP-enabled, Next Generation 9-1-1 emergency response system that uses voice, data, and video services that greatly enhance the capability of 9-1-1 and emergency response services". These bills would rewrite Section 158 of the National Telecommunications and Information Administration Organization Act, which is codified at 47 U.S.C. § 942. This section pertains to "Coordination of E–911 implementation". The bills also require that reports be written. The sponsors issued a joint release. Rep. Shimkus (at right) stated in this release that "This legislation is about more than reauthorizing grant programs, it's about creating and maintaining a coordinated approach to 9-1-1 response technology on a nationwide level ... The Next Generation 9-1-1 technology needs to be fostered and advanced by experts on a national level with the resources to target specific public safety needs." Sen. Burr, who is not a member of the Senate Commerce Committee (SCC), but was previously a member of the House Commerce Committee (HCC), stated in this release that "Technology has come a long way since the 9-1-1 system was first established, and we must continue to modernize our call centers to keep up with these changes. This legislation will ensure necessary upgrades for the emergency response infrastructure, and will ensure that E9-1-1 fees are used for their intended purposes." HR 4829 and S 3115 were referred to the HCC and SCC, respectively. Rep. Eshoo, Rep. Shimkus, and Sen. Klobuchar are current members of Commerce Committees. Legislative History. Section 158 was added to the NTIA Organization Act in the 108th Congress by the "Ensuring Needed Help Arrives Near Callers Employing 911 Act of 2004" or the "ENHANCE 911 Act", which was enacted as part of a large composite bill, which became Public Law No. 108-494. See, story titled "Bush Signs Telecom Bill" in TLJ Daily E-Mail Alert No. 1.045, December 28, 2004. In 2005, the Federal Communications Commission (FCC), acting in a legislative capacity, extended 911/E911 regulation, which had applied to carriers, to also include interconnected voice over internet protocol (VOIP) service providers. The FCC acted in brutal and discriminatory fashion towards VOIP service providers, and the services that they were offering and developing. The ILECs were pleased. The Congress then passed a bill on the subject, which amended Section 158. On July 23, 2008, President Bush signed into law HR 3403 [LOC | WW], the "New and Emerging Technologies 911 Improvement Act of 2008". It is now Public Law No. 110-283. Back in 2004 and 2005 the argument was advanced in IT circles that the regulatory regime established by the FCC in 2005 imposed the legacy ILEC emergency response technologies upon new and emerging VOIP based systems. VOIP service providers at the time were developing and integrating new information technology based services into emergency communications. The argument then was that the FCC suppressed this private sector innovation in emergency communications. There was also the related argument that the regulatory regime established by the FCC placed VOIP service providers at a competition disadvantage. While the VOIP service providers had to adhere to the legacy system, and purchase services from ILECs, there was no requirement that local exchange carriers interconnect with VOIP service providers, no ban on port blocking, and no right of access to the ILECs 911/E911 call centers. Although, the 2008 Act remedied some of the more egregious aspects of the FCC's orders. Five years ago the FCC and Congress quashed the possibility that a new nationwide emergency communications systems would be advanced by private sector developments in computers, software and VOIP communications. The FCC and Congress arguably sacrificed a revolution in emergency response capabilities in order to preserve a government planned ILEC operated legacy system. Now, the sponsors of these two bills seek to introduce "innovative services and applications" to emergency communications via federal government planning, and grants to state, local and tribal governments. 3/9. Rep. David Wu (D-OR) introduced HR 4784 [LOC | WW], the "Internet Freedom Act of 2010". It would require that the National Science Foundation (NSF) establish an Internet Freedom Foundation (IFF), which would provide money to entities that develop technologies the "defeat Internet suppression and censorship". Simultaneously, Rep. Wu and Rep. Chris Smith (R-NJ) announced the founding of the House Global Internet Freedom Caucus. This bill is a revised and expanded version of HR 4595 [LOC | WW], also titled the "Internet Freedom Act of 2010", which Rep. Wu introduced on February 4, 2010. This IFF would give grant money and prizes "to private industry, universities, and other research and development organizations to develop deployable technologies to defeat Internet suppression and censorship". The bill authorizes the appropriation of unspecified amounts for this purpose. The bill defines "Internet suppression" as "censoring, blocking, monitoring, or restricting access to the Internet, or to content made available via the Internet, by using technologies such as firewalls, filters, and `black boxes´." The bill was referred to the House Science Committee. Rep. Wu discussed the founding of the bipartisan House Global Internet Freedom Caucus in a release. He said that "digital media technology ... faces a number of threats from those who seek to control information, quell dissent, and censor non-violent free expression. ... it is vital that we continue to uphold the values that underlie our innovation society. In an ever-changing digital world, we must work together to appeal to the better angels of our nature and strive not just for prosperity, but for freedom." On March 10, 2010, the House Foreign Affairs Committee (HFAC) held a hearing titled "The Google Predicament: Transforming U.S. Cyberspace Policy to Advance Democracy, Security, and Trade". See also, HR 2271 [LOC | WW], the "Global Online Freedom Act" or "GOFA", introduced by Rep. Smith on May 6, 2009. And see, HR 4504 [LOC | WW], the "Standards for Internet Non-Censorship Act of 2010", introduced on January 26, 2010, by Rep. Bill Foster (D-IL), and story titled "House Bill Proposes FCC Regulation of Internet Search Providers" in TLJ Daily E-Mail Alert No. 2,045, February 16, 2010. 3/24. 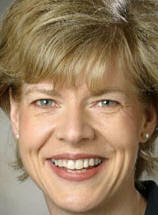 Rep. Tammy Baldwin (D-WI) (at left) and others introduced HR 4925 [LOC | WW], the "Healthy Media for Youth Act". This bill would provide for the "award grants to nonprofit organizations" for "educating youth on how to apply their critical thinking skills when consuming media images and messages". The bill would also provide for "research on the role and impact of depictions of girls and women in the media on the psychological, sexual, physical, and interpersonal development of youth". Finally, this bill would require the Federal Communications Commission (FCC) to establish an FCC National Task Force on Girls and Women in the Media. This task force "shall identify ... concerns with how the media regulated by the Federal Communications Commission portrays girls and women ... the impact of negative depictions of girls and women on the development of youth; and ... voluntary steps and goals that the public and private sectors can take to promote healthy and positive media depictions of girls and women". This bill was referred to the House Commerce Committee (HCC). 3/24. Rep. Marcia Fudge (D-OH) and Rep. Vernon Ehlers (R-MI) introduced HRes 1213, a resolution "Recognizing the need to improve the participation and performance of America's students in Science, Technology, Engineering, and Mathematics (STEM) fields" and "supporting the ideals of National Lab Day". It was referred to the House Science Committee (HSC). 3/23. Rep. Adam Smith (D-WA), Rep. Mary Mack (R-CA), and Rep. Howard Coble (R-NC) introduced HRes 1208, a resolution supporting the goals of World Intellectual Property Day. It was referred to the House Judiciary Committee. 3/15. Rep. Yvette Clarke (D-NY), Rep. Bennie Thompson (D-MS), and Rep. Dan Lungren (R-CA) introduced HR 4842 [LOC | WW], a bill to authorize appropriations for the Department of Homeland Security's (DHS) Directorate of Science and Technology of the Fiscal Years 2011 and 2012. It was referred to the House Homeland Security Committee. 3/4. Rep. Gene Taylor (D-MS) and others introduced HR 4759 [LOC | WW], an untitled bill that provides that "the President shall provide to the Governments of Canada and Mexico written notice of withdrawal of the United States from the" North American Free Trade Agreement (NAFTA). It was referred to the House Ways and Means Committee. Rep. Taylor issued a release that states that "NAFTA has cost the United States millions of manufacturing jobs and hurt national security by encouraging companies to move production to Mexico". It adds that "The House of Representatives is expected to vote later this year on whether the United States should remain a member of the World Trade Organization." 3/4. Rep. Rush Holt (D-NJ) and others introduced HR 4769 [LOC | WW], the "Creating Jobs From Innovative Small Businesses Act of 2010". This bill would add a new section to the Internal Revenue Code titled "High Technology Investment Tax Credit". It was referred to the House Ways and Means Committee. 3/4.Rep. 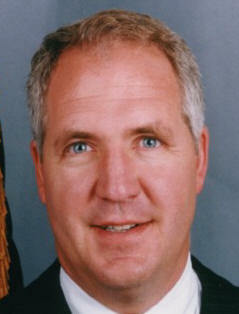 Rush Holt (D-NJ) and others introduced HR 4770 [LOC | WW], the "Create Jobs by Expanding the R&D Tax Credit Act of 2010". This bill would increase the size of the research and development tax credit, which is codified at 26 U.S.C. § 41, and provide that it can be transferred. It was referred to the House Ways and Means Committee. The House will not meet. It will next meet at 2:00 PM on April 13.